Reader Marcus Trimble from Sydney, sends Hello Beautiful! another take on the saga. I assume from the smarts of the letter that this is the Marcus Trimble who teaches design at the University of Sydney Faculty of Architecture and is involved with the Royal Australian Institute of Architecture. and it looks like “Greetings from Sydney!” ay? This assessment on the troubles of the Sydney Opera House by Boyle is a little simplistic and bit off the mark. It was not a waning interest in opera that led to the opera hall changing location, nor was the smaller hall originally meant to hold the symphonic concerts. The problems with the two halls were set in place early on with the general strategy as outlined Utzon’s competition scheme. The placement of the two halls side by side meant that fitting the required seating into both halls was problematic. The original plan was that the opera and symphonic concerts would be held in the same large hall. Operable elements would reduce the size of the hall for opera to accommodate the large sets and so on. The smaller hall was to be used as the drama theatre. 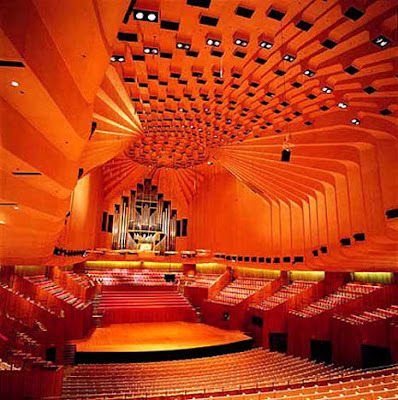 Utzon’s office and Arups spent much of their time on the project attempting to get enough seats into the major hall to satisfy the brief from the ABC and the acoustic requirements. When it became clear that achieving the seat numbers was not going to be possible, a compromise was reached where the opera was moved to the smaller hall, additional seating was placed to the rear of the concert hall and the drama theatres were moved into the podium. As for Utzon leaving the job, this was for a number of complex factors beyond mere disputes over the funding of models, such as the change of the NSW State Government and the ensuing change in management of the project, disputes over Utzon’s role as lead consultant and refusal to work with a government appointed team of architects, disagreements over fees, and the failing relationship between Utzon and Ove Arup. I can recommend the excellent “The Saga of the Sydney Opera House” by Peter Murray which gives a detailed breakdown of the entire project. Thank you very much Marcus Trimble. Click here for an even better view. Photo by Vermin Inc / © Some rights reserved. The larger hall was intended for Opera, and the smaller for concert performances. However, opera waned in popularity, so the decision was made to house the opera in the smaller hall, but the facilities are modest, and the volume insufficient to allow the operatic acoustic to develop. The reason why Mr Utzon could not continue was that he wished to build full-scale mock-ups and trials for the interior acoustic lining, but the government of New South Wales who had commissioned the project, baulked at the cost for something that might be simply discarded later, and so suspended any further payments on the project. Mr Utzon was thus forced to retire from the project. He never actually resigned. His approach would not be questioned in these days when acoustic excellence is a specialised field of consultancy: I recall how his office in Helsingor was littered with models, prototypes and samples of construction methodologies as this was his very hand-on way of exploring new ideas and pioneering solutions. 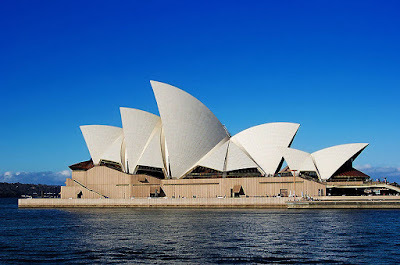 Like almost everybody, I reluctantly admired the Sydney Opera House when I first saw the competition results back in 1956, with its earth-bound podium growing out of the soil of Bennelong Point and jutting out into the bay, the vaults hovering over the layered platforms in counterpoint to the arch of the Harbour Bridge. It may all have been very thrilling, but I never quite loved it. Perhaps I was uneasy, or even feared those vaults as foreboding the iconic buildings 50 years hence. Or perhaps I could not buy into the analogy between the vaults and the sails in the bay. 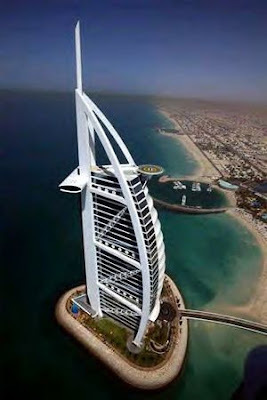 Just think how that analogy has now been debased by the curved side of the Burj Al Arab in Dubai. 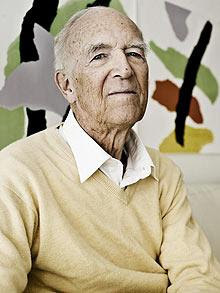 Jorn Utzon, the Danish architect, died on November 29, aged 90.
but left the project and never saw it completed. With a friend, Tobias Faber, Utzon wrote a controversial article espousing two central architectural principles; learning from vernacular architecture and intelligent response to function. 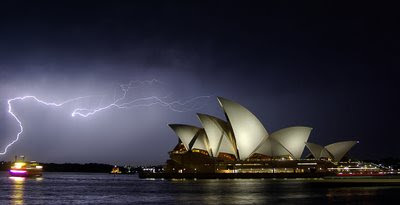 If these were the seeds of the Sydney Opera House design, travel was the nutrient. In the late 1940s, the Utzons went to America, where Joern had warm meetings with the renowned Finnish architect Eero Saarinen in Michigan, Frank Lloyd Wright in Wisconsin and Charles Eames in California, as well as a bizarre encounter in Chicago with the cigar-sucking Mies van der Rohe, where communication, in English, was through a secretary. Mies allowed the Utzons to visit his newly finished Farnsworth House at Plano, Illinois. Utzon was struck by the way Miesian spaces were at once disciplined and voluptuous, by Wright’s richly textural use of material and by the sheer panache with which Eames combined off-the-shelf componentry; lessons which he combined to good effect in his own house in Hammermill Wood, Hellebaek, 1952. Next stop Mexico, where Utzon had his first experience of the Mayan temples that, in creating massive stone platforms at the height of the jungle canopy, enabled the Mayans to break through into the sunlight and re-create lost horizons; much as Utzon would later do in Sydney. (From the New York Times) – As a young architect Mr. Utzon worked for Gunnar Asplund in Sweden and Alvar Aalto in Finland before establishing his own practice in Copenhagen in 1950. In 1956 he read about the Sydney Opera House competition in a Swedish architecture magazine. He spent six months designing a building with sail-like roofs, their geometry, he said, derived from the sections of an orange. (Back to the Sydney Morning Herald) … by the time he won the Sydney Opera House competition, Utzon was a 39-year-old architect brimming with ideas and design skill but with relatively little experience in the tribulations of getting things built…. Even as Utzon basked in his win, the furor began. His winning scheme was displayed at New York’s Museum of Modern Art beside Saarinen’s TWA Terminal. Frank Lloyd Wright and Mies van der Rohe hated Utzon’s design; Saarinen and Richard Neutra loved it. 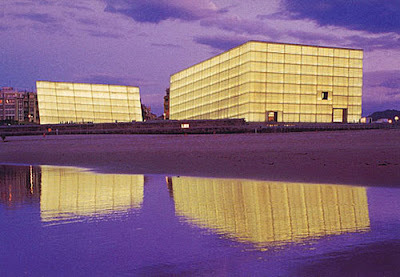 Kursaal Auditorium and Congress Center in San Sebastián, Spain (1999). Particularly in the use of two volumes to separate functions. Warning to those who like straight lines – I don’t think his Kursaal – by all accounts wonderful – identifies San Sebastián as famously as Utzon’s design identifies Sydney. 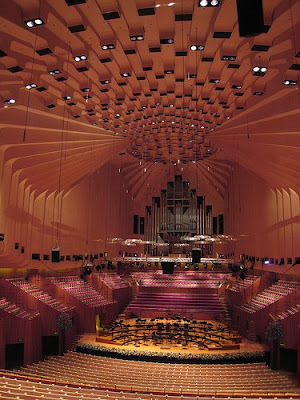 But the Kursaal halls are said to have marvelous acoustics, whereas the acoustics in the Concert Hall of the Sydney Opera House are said to be poor and artists complain about the lack of performance and backstage space. 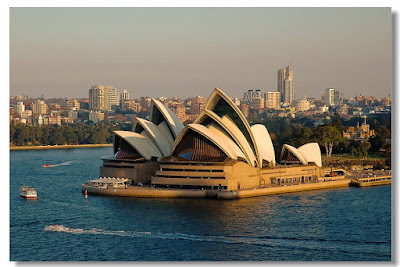 Lynn Becker has a smart post on Jørn Utzon. You are currently browsing the archives for the Jørn Utzon category.